And they’re off! Lane number one has the lead! From left to right at ground level the lanes are 1-11. Hops #1 and hops #10 are neck and neck. We’ll see who can put it all together and reach the roof of the barn first! Mindset is so important to happiness in life. 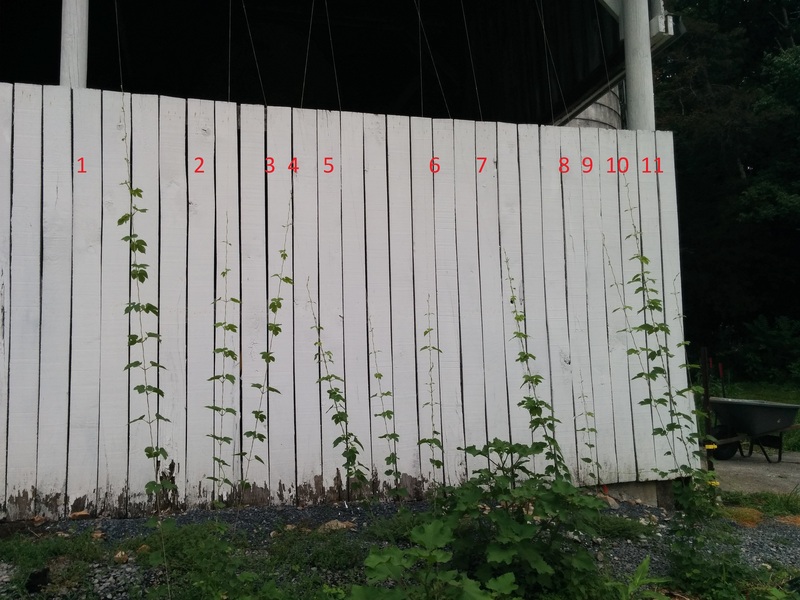 Making a game of the fact that hops will grow about 1 foot per day through the spring and summer is no exception. Each plant only occupies 1.5 square feet in my garden while occupying the unused vertical space. And they have risen extremely quickly to become my Virginia’s newest cash crop with the state investing in a $1.5 M processing facility. They are fun and easy to grow with their beautiful fragrance becoming an integral part of my homebrew beer.